Perhaps the most unlikely pet is the European brown bear (the same species as the American grizzly bear), which the Ainu people of Japan regularly captured as young animals, tamed and reared to kill and eat in a ritual ceremony. Thus, many wild animal species reached the first stage in the sequence of animal-human relations leading to domestication, but only a few emerged at the other end of that sequence as domestic animals. Perhaps you know a little person who absolutely love bears. I know one of those. She loves stories about bears. Fortunately they are in no short supply. Here are some we have read lately. In this story, a bear is kept in a cage to perform tricks and basically be an exhibit. But one night the bear escapes, scares away the villagers and climbs up a pole into the sky, and flies away. The message is obviously one about keeping animals in captivity (don’t), and I wonder if there are bigger themes in here as well, about reaching for the sky. This one was shortlisted by The Children’s Book Council Of Australia but failed to engage my daughter. I think it was partly to do with the dark, sketchy drawings (by Armin Greder) which look to me a bit like an underdrawing. I vividly remember owning a picturebook in a similar style as a child, and I didn’t like it solely because of its illustrations — illustrations that would intrigue me as an adult. This is a pretty cute story, in which a bear protects six white mice by fooling three predatory animals (a snake, a fox and an owl) into thinking they’re something else (moon apples, furry eggs and snowballs respectively). By the time the predatory animals have worked out that they’ve been fooled, the bear and his six white mice have gone. The page in which the fox, snake and owl realise they’ve been tricked is a deliciously scary moment for the child, who sees their, angry duped faces in close up. What’s not clear (to my critical, adult mind) is why the bear doesn’t eat the mice. Do bears not eat mice? I would’ve thought so. Still, bears get special exemption from the laws of nature, at least when it comes to picture books. There is a type of children’s story which I’ll call ‘Hugs and Kisses’. It’s usually bedtime, though not always, and we follow a happy, affectionate family as they hug and kiss each other and roll-around laughing happily until the child character is tucked safely into bed. All is well with the world. In this story, the parents and child happen to be bears. An astute adult reader will see the end coming a mile off: the baby gets a ‘bear’ hug, of course. The illustrator looks like he really enjoyed rendering the bears’ fur. I’m not a fan of the creepy monkey who appears on most pages. (I have a thing about toy monkeys, along with tunes coming out of ice-cream vans and clowns.) This book is a good example of my main issue with some digital art: the elements of each picture don’t look sufficiently integrated together. While the bears look handdrawn, the lamp in the living room looks like an imported photograph. I do like illustrations to look like illustrations, even if heavy use has been made of photo references. Others will have no such problem, and indeed many may prefer this style, which only digital art can offer. It seems I often read a picture book in which the story is lacking, or ill-composed, but it is accompanied by fantastic artwork. That happens more than the other way around. But this book is an example of a story which I really like accompanied by less masterful (but still adequate) illustrations, rendered in pastel watercolours, held together (too) loosely by incomplete black pencil lines. I wonder if this author/illustrator would consider himself a writer first, an illustrator second. The story depicts perfectly how I felt about London when I went there for a while; I’d been attracted to it, but as soon as I got there I wondered why I’d come. It took another while to find my purpose for being there. This is a message that perhaps adult readers are more likely to appreciate than younger ones. The resident four-year-old wasn’t captivated by this story and asked to read a different one, but I was keen to see it through, and enjoyed the atmosphere of it. I also liked that the story was told partially through the pictures, leaving the reader with sparse words. Surely that is the point of picture books, otherwise they might as well not be picture books. I’m noticing that this sort of cohesion is more likely with works in which the author/illustrator is the same person. One thing though, I thought the last page could have been more original. I think the last page of a story is very important, whether it contains words or just an image. This one ends with, ‘It was a day that Addis Berner Bear would never forget.’ There’s nothing particularly wrong with that, but it doesn’t resonate, either. Paddington Bear is a phenomenon, but unlike some other phenomena which don’t deserve their highly-marketed popularity, this character is lovable in his own right. I didn’t know this until I opened this very picturebook though, because I’d never read any of the books. It’s high time I did, since this bear is over 50 years old. The picturebook gives a keen sense of London — a London in a former time, full of white-skinned characters, and a Paddington Station that’s not nearly so crowded as it is today. Although I enjoyed a lot of my time in London a few years ago, books like these make me wish I could have visited London in the 1960s. I think I’m going to adopt and use the phrase, ‘This isn’t a bit like Darkest Peru’. Which is funny, because when I think of Peru, I don’t think ‘dark’. Radio New Zealand did an interview with Michael Bond, a laid-back, kindly personality (as you might expect) on Paddington Bear’s 50th birthday. Speaking of New Zealand, there was a Kiwi band who called themselves The Paddington Bears. That was 1969. I don’t know what happened to them. If Wikipedia had existed back then they may have got a two line entry. Alas. 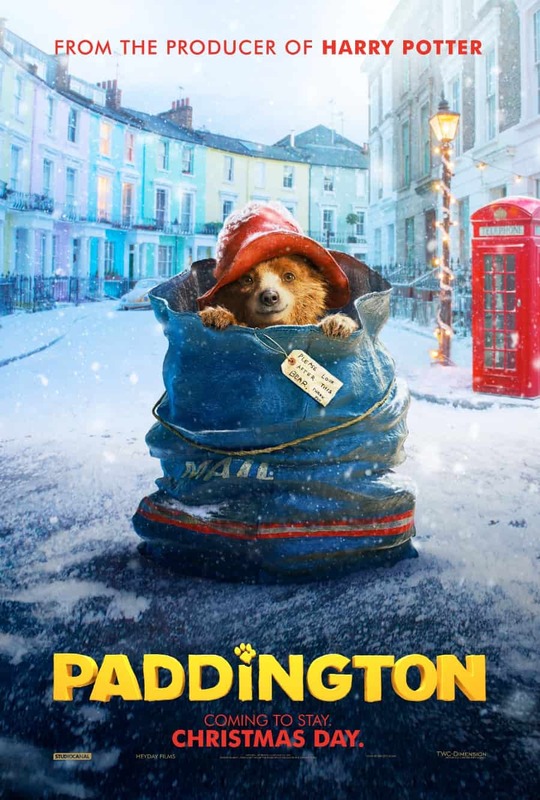 There is now a Paddington Bear movie, in case you missed it. A teddy bear is too prickly to be appealing in a shop, and so the shopkeeper throws it into the skip where it is rescued by a passing boy. In a few deft strokes we see that the boy is from an economically impoverished background and for lack of alternatives the prickly teddy becomes favorite. Over time, the teddy bear loses its prickliness and becomes soft, metaphorically mirroring the transformation that often takes place when we get to know someone really well. The ending of this story feels a little abrupt, but after a few seconds I realised that the ending was perfect. Also comes in a 4 story collection. I’m far too old and pessmistic for overtly cutesey books like this one. The story starts off okay with, ‘Love is that warm cosy feeling/You get when you’re cuddling your mum’, but as the day progresses, the descriptions are less about ‘love’ and more about other feelings dressed up as love: And then when your tummies are grumbly/Love is unwrapping your treats (consumerism)/ And love’s stuffing everything all in at once/Leaving masses of mess on your cheeks (greed). Perhaps my skepticism is only a reflection of the fact that in English we don’t have very specific words to describe the different types of ‘love’. At any rate, I had a hard time reading this one out loud without emitting a groan. Honestly, this would have to be the most irritating going-to-bed book I’ve read yet, which no doubt speaks to my own views on sleep for the little ones. As far as I’m concerned, you put the kid to bed, and then you leave them the hell alone. That’s not what happens in this story. Instead, there’s a big bear and a little bear in a furnished cave. The big bear is trying to read, but the little bear can’t sleep. So the stupid big bear decides to turn on a light for the little bear. Little Bear has a doctorate in manipulation, and asks for bigger and bigger lights, until the cave is so well-lit that even a chronic narcoleptic wouldn’t get any shut-eye. That Big Bear needs a slap. Because Little Bear is going to be mighty grumpy tomorrow. Good luck to Big Bear with THAT. This is another story about a family of bears, which could just as easily be a family of people. Waving goodbye to Mother and Baby, off they went through town… and then through the country… until they found an ideal picnic spot. Such a simple story works because of the counterpoint in the illustrations. The reader has just had two stories, not two, and an adult reader is likely to empathise with the adult bears, who probably aren’t having the greatest time as Wilberforce almost drowns himself and gets into other mischief. Before reading this book I’d just been listening to a podcast about the American dietary guidelines, which came out in 1982 and haven’t changed much since, ‘food plate’ or ‘pyramid’. In 1977 a scientist called Ancel Keyes published some (flawed) research which led to the American government recommending that we all cut down on dietary fat and increase our servings of whole grains. 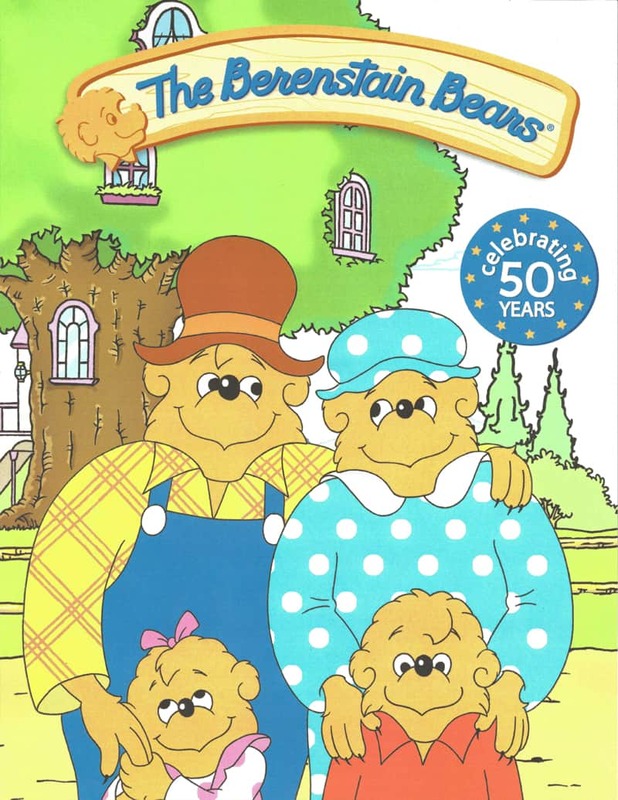 This came into effect in 1980, just two years before this book was published, and so I made note of the fact that this family of bears is eating the pre-1980s breakfast of bacon and eggs and sausages. In picturebooks published subsequent to this one we’re likely to see a box of extruded cereal on the kitchen table to indicate breakfast time, which makes me want to delve further into a study of food in picturebooks. As an unrelated side note, this family has gone back to the pre-obesity-epidemic days and we eat meat and eggs for breakfast. Our health is far better for it. This is a sequel of sorts to It’s A Bear! which my daughter absolutely loves. This time Eddy is in the woods all alone when he comes across the very large bear who happens to be benevolent. This story would appeal big time to preschoolers who spend a lot of time talking the parts of teddies. I know young children who love this book. I do not love this book. The Problem With Raising Good Girls points out the problem with Australian author Nick Bland’s The Very Cranky Bear, which was chosen for national simultaneous storytime 2012, and was consequently read and studied by my preschool daughter. I agree with the issue raised in that article, and feel that deeper thought should go into which books are chosen as basically ‘required reading’ for Australian kids. Though dated in their worldview, these books are popular with the resident six-year-old. Kadir Nelson delivered a presentation about art and life, which is summarised at Philip Nel’s blog. Wendy and Oliver decide to have a picnic in the woods, but they get more than they bargained for when they are approached by a ferocious black and growling bear. Frank Tashlin’s The Bear That Wasn’t.